St. 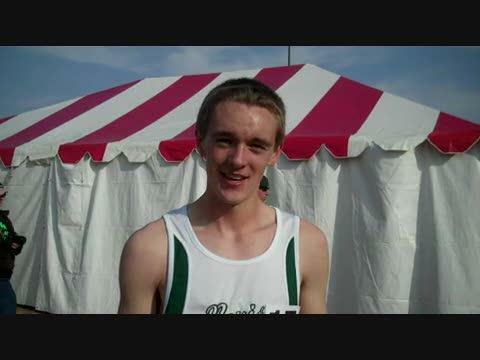 Cloud Cathedral boys and girls win Class A team championship titles. Clare Flanagan (The Blake School) and Bryon Schuldt (Nevis) take medalist honors - full results, photos and video footage to be posted soon. Monticello girls and Stillwater boys win their respective team titles - Maria Hauger (Shakopee) and Josh Thorson (Wayzata) take medalist honors - full results, photos and video footage to be posted soon. By John George | www.lakesareasports.com - Northfield, MN The Perham boys finished 2nd at the Class A State Cross Country Meet. (John George photo) For the 5th time in school history, the Perham boys cross country team finished in 2nd place at the Class A State Cross Country Meet in Northfield at St. Olaf College. Perham finished with 73 points, just one-point behind St. Cloud Cathedral for the State title. By John George | www.lakesareasports.com - Northfield, MN The Perham girls finished 10th at the Class A State Cross Country Meet. (John George photo) The Perham girls had 3 goals coming to the State Cross Country Meet at St. Olaf College in Northfield. Place higher than last year (12th), finish higher than their ranking (No. 12), and beat the Section 8A champs, Park Rapids. They did all three. The Lady Jackets finished in 10th place Saturday with a score of 227. The team they finished behind at the Section 8A Meet, Park Rapids, finished in a tie for 11th (247). Nov. 1, 2011 Contact: Lisa Lissimore or Ellen Rajkowski / MSHSL FOR IMMEDIATE RELEASE State Cross Country Running Meet Two team champions return to defend 2010 titles; Three individual champions return Two team champions return this Saturday, Nov. 5, when the Minnesota State High School League’s 2011 State Girls’ and Boys’ Cross Country Running Meet is conducted at St. Olaf College in Northfield. The Perham boys and Adrian girls are both in the hunt for their second consecutive titles in Class A. Three individual champions also return in search of more gold. 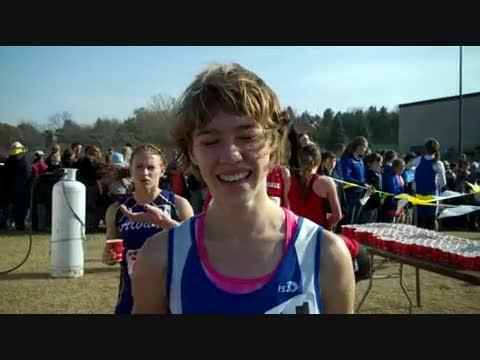 Junior Marisa Shady of Esko claimed top honors in the Class A girls’ race last year, and junior Maria Hauger of Shakopee has won the past two years in Class AA. Senior Mubarik Musa of Worthington is the only male champion to return; he took the Class A crown in 2009 and will be competing in Class AA this year. The girls run a 4,000-meter course. 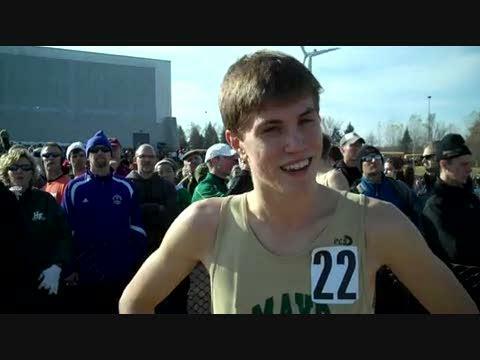 The boys run a 5,000-meter course. 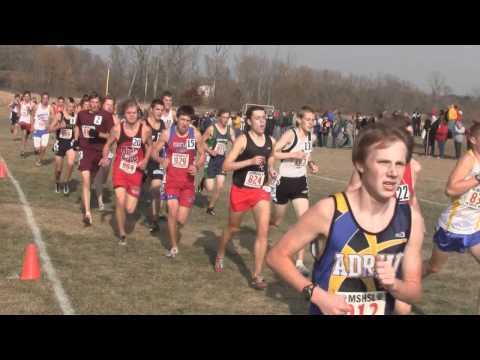 Recap of the 2011 Minnesota State High School Cross-Country Championships, Boys Class A race. 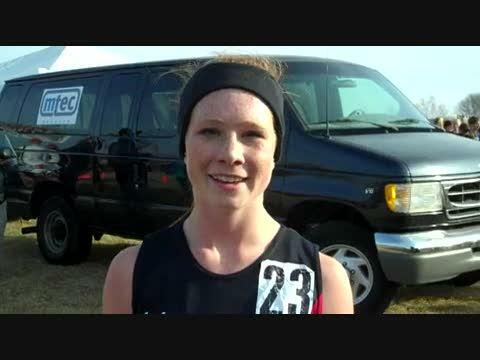 Recap of the 2011 Minnesota State High School Cross-Country Championships, Girls Class A race.